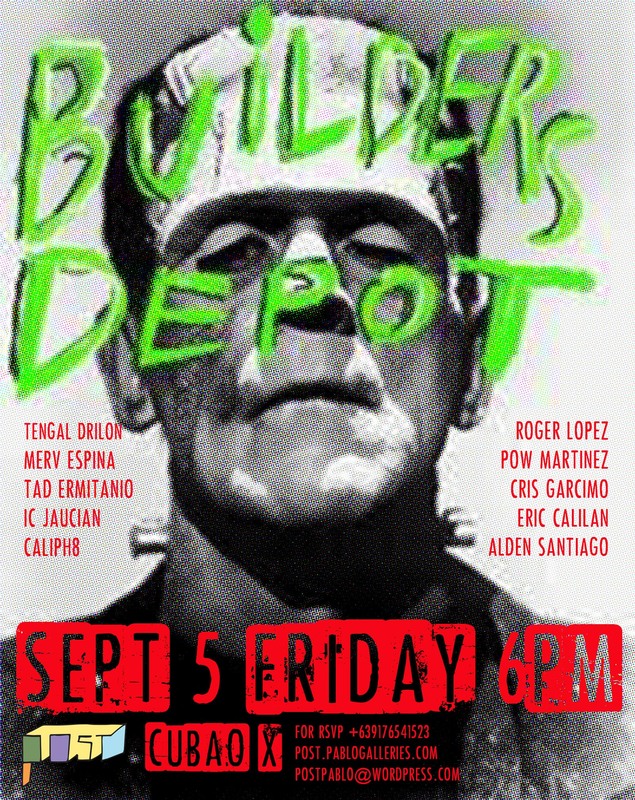 Post Gallery presents a DIY builders workshop to be conducted by Tengal Drilon, Merv Espina, Tad Ermitanio, IC Jaucian, Roger Lopez, Pow Martinez, Cris Garcimo, Eric Calilan, Alden Santiago andCaliph8 on September 5 at 6PM. Attendees may bring their own DIY electronics project and exchange tech and build info. This session is FREE and open to all! Post’s 2nd edition of Selecter FM session will feature video projections and audio by Mariano Ching, Apol Sta. Maria, and Owel Alvero. This will coincide with the launch of Saturnino Basilia‘s latest zine Before Us, Nothing Existed Here by Allan Balisi. Produced in editions of 60, the zine is a compilation of drawings derived from Jean-Luc Godard’s 1965 film, Alphaville. The text is lifted from the film’s dialogue, specifically from 32:20 to 35:39, and used as a basis and accompanying text for Allan’s 26 drawings. 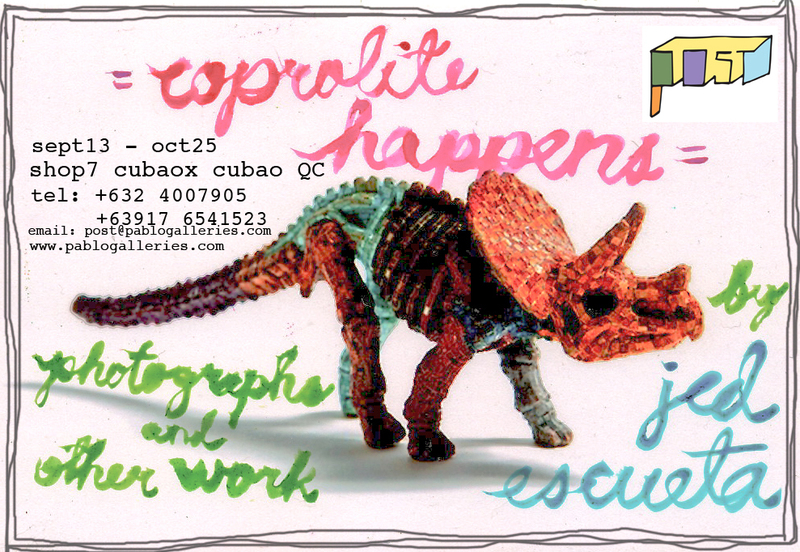 On September 13, Jed Escueta will be opening his solo exhibit Coprolite Happens, a sort of accounting/inventory of the photos he has taken over the past years since he started exhibiting and diaristically taking photos since 1999. His method of taking stock from his personal archive are not chronologically categorized or filed but presented with an introspective distance, yet they’re all linked by a sentient narrative of lives glimpsed in a flash and memories affixed as fossils on paper, purged as image projections, what were once conceived of light are purged back to light, a selection from more than a thousand that he has pooled from negatives, prints and digital files. Coprolite Happens will be on view until October 25.